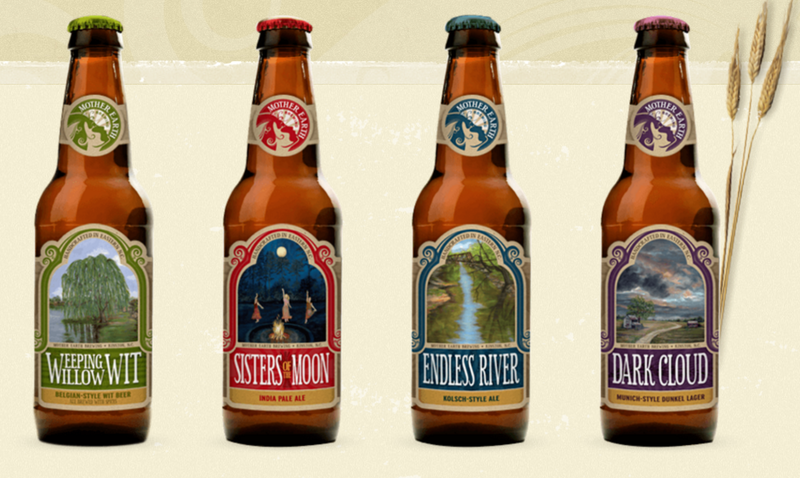 A name like Mother Earth Brewing demands that a ribbon of green run through every aspect of our company. Owners Stephen Hill and Trent Mooring say it was easy to build a first-rate brewery while staying true to their name. Trent explains, “Being green can be easy, and making simple, educated product decisions during our design phase was critical to our overall objective of a low-impact brewery.” In 2013, the United States Green Building Council took notice, and after a nine month observation period, they awarded Mother Earth Brewing a Gold certification in the LEED® program. Mother Earth Brewing is proud to be the first production brewery in the country to achieve the Gold rating, the highest rating ever attained by a brewery and the second highest rating possible. Trent adds that “research and education will continue to be key elements” in deciding what green technologies to implement in the future. Here’s an overview of what the brewery has been doing to make our mother happy. Follow Mother Earth Brewing on Facebook and Instagram!